There has been a 90% drop in the population of the Monarch Butterfly in the United States over the past 20 years – and there is something gardeners can do to make a big difference in the demise. 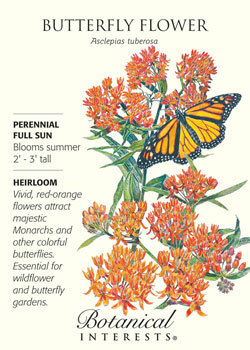 We all recognize the iconic Monarch butterfly with its majestic orange and black wings. Butterflies are more than just beautiful; they are beneficial to the environment and your garden. Butterflies pollinate plants that produce about one-third of the food that we eat. They flutter from plant to plant drinking nectar, and as they move, they take pollen with them. The pollen is deposited on other plants, helping with the continuation and growth of many plant species. The presence of butterflies also signals a healthy environment. Because they are very sensitive to pesticides, if you keep an organic garden, chances are that butterflies and other beneficial insects like ladybugs and bees, which eat plant-damaging insects like aphids, will be present as well. That’s good for the overall life and health of your garden! Unfortunately, the butterfly we all know and love is losing its habitat, specifically milkweed (butterfly flower), to modern farming methods and population development. The Monarchs are the only North American butterflies that make a 3,000-mile migration to Mexico and California for the winter, taking 6-8 generations to complete the journey. The fragmentation of milkweed in their migratory path is significant because milkweed is the only host plant where Monarchs lay their eggs, and the sole food source for their larvae. With fewer host plants, their population is suffering as a result-90 percent decline over the last 20 years. Their population decline is so significant that the U.S. Fish and Wildlife Service is reviewing to determine if the butterfly should be classified as “threatened” under the Federal Endangered Species Act. 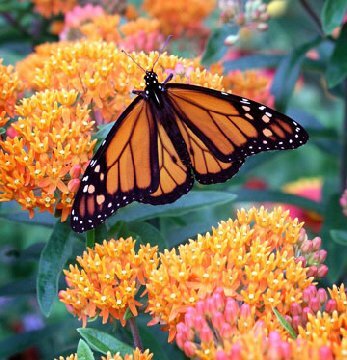 As home gardeners, we can help to replenish the butterfly habitat by sowing milkweed/butterfly flower from our friends at Botanical Interests. The result is beautiful flowers in our gardens and many butterflies, bees and hummingbirds among them. 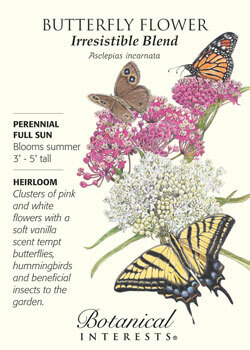 Visit us for Butterfly Flower seeds and a great selection of Botanical Interest flower, vegetable, and herb seeds!